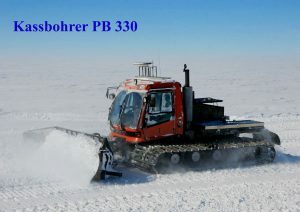 The Kassbohrer PB (Pisten Bully) series are snow grading machines designed for use in ski fields. 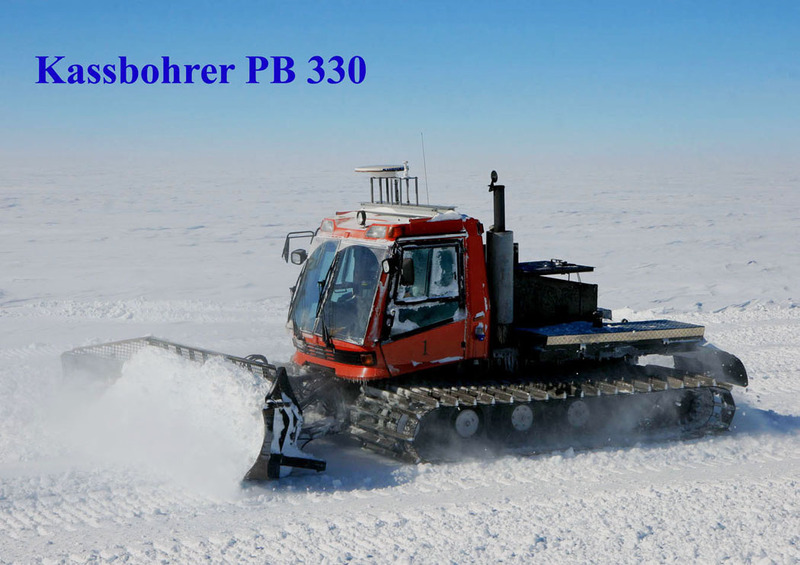 The PB 300 / 330 units are powerful (250 kW to 320 kW) in order to push large amounts of snow and light (9000 kg) so as to go up steep slopes. Their ground pressure is extremely low (80hPa). Force is transmitted via hydrostatic pumps and motors, with electronic controls. The maximum speed is about 22 km/h with no load. 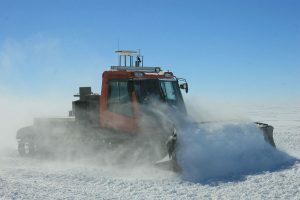 Both types of machines use approximately 6 litres of diesel fuel per kilometre.